Whimsical is not a word I have often applied to myself, but in this one instance . 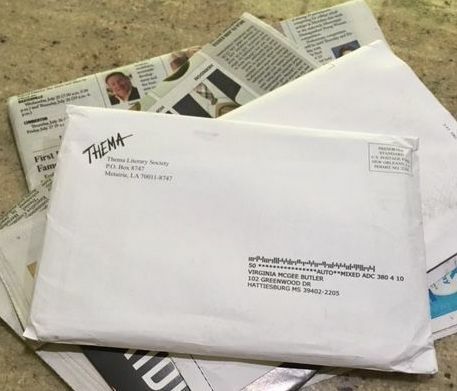 . .
It’s no secret that I love to try my hand at the topics thrown out by Thema literary magazine from time to time. 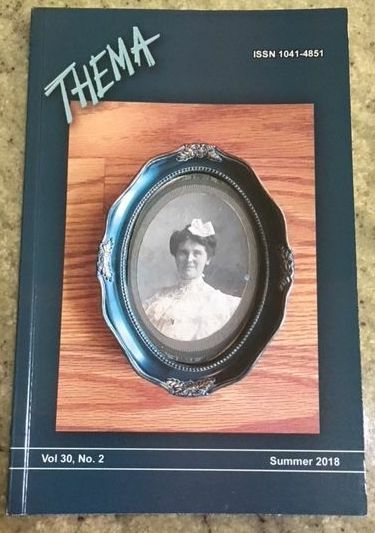 I almost missed the deadline for the summer edition with the “The Face in the Photograph” theme when I had a last-minute thought to write about the grandmother I never knew. Her face stares serenely from her picture in my entryway and frequently gives me pause to wonder who she really was. I took the challenge and put my wonderings into an article that I had received permission to send electronically since time was short. As I pushed “send,” it occurred to me that the editor might like to see a picture of the woman I described and wondered about. On a whim, I put her photograph on the floor and took a snapshot. I sent it with a disclaimer about the quality of my camerawork but with the thought that she might like to see the person in my piece. Imagine my surprise when the editor replied that, not only was the article accepted for publication, but the photograph was just what she needed for the cover. I’m guessing Sarah Elizabeth Hazelwood Kornegay McGee would be quite surprised to see her picture on the cover of an internationally distributed magazine. I’ve been waiting with more anticipation than usual for this issue with two credits and practically danced my way from the mail box when it came yesterday. If you would like to see it on the official site – or perhaps order a subscription or a copy of this issue, the magazine website is at www.themaliterarysociety.com.